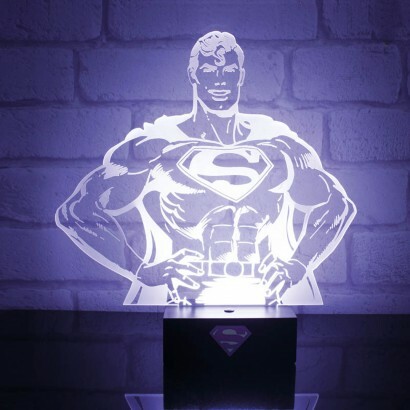 Perhaps the most super of all the superheroes, the Man of Steel is immortilised in acrylic and illuminated for maximum impact in this hero light. The iconic "S" on his chest shines brightly alongside his trademark quiff shining light into your room. 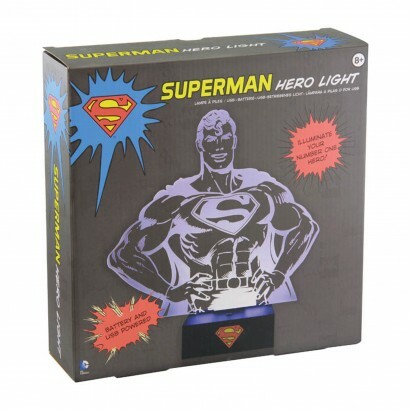 Battery or USB operated, this Superman hero light is lit by a bright white LED projecting a superbright image of the hero into your room to make an out of this world night light.